Hailed as a “coloratura tour de force” (Opera News) and possessing a “powerful, searing soprano” (Opera Now), Alexandra Batsios is garnering attention as a promising operatic talent. Most recently she performed her signature role of Konstanze at Livermore Valley Opera and will make her role debut as the Queen of the Night at Sarasota Opera in 2019. In 2018 she was featured on a concert of new music from composer Joel Feigin and was an artist in residence at the Newport Music Festival, performing on multiple concerts including the season finale featuring Vivaldi’s Gloria and Pergolesi’s Stabat Mater. The 2016/2017 season brought her role debut as Leonora in Il trovatore with St. Petersburg Opera where critics called her a "production pillar" with "great articulation" (Tampa Bay Times). She joined the Florida Orchestra for Mahler's "Resurrection" Symphony and then made her NYC debut reprising the role of the Queen of Shemakha with New Opera NYC. Ms. Batsios also appeared as the soprano soloist in Beethoven's Ninth Symphony with the Princeton Symphony Orchestra and her alma mater, Westminster Choir College. During the 2015/2016 season, she made her St. Petersburg Opera house debut as Konstanze in Die Entführung aus dem Serail and also appeared with the Dartmouth Symphony Orchestra for Beethoven's Ninth Symphony. She made two role debuts to great acclaim in the 2014/2015 season: the Queen of Shemakha in a new production of Rimsky-Korsakov’s The Golden Cockerel at Sarasota Opera and Konstanze in Die Entführung aus dem Serail at Opera North (NH). Ms. Batsios spent the 2013/2014 season as a Studio Artist with Sarasota Opera where she covered Adele in Die Fledermaus, made her debut as Berta in Il barbiere di Siviglia, and covered Hélène in Verdi’s Jérusalem, an opera that was part of Sarasota Opera’s Verdi Cycle. Earlier in 2013, she made her professional debut as Annina (La Traviata), Clorinda (La Cenerentola), and Flora (The Turn of the Screw) with Palm Beach Opera. While a young artist at PBO, she also premiered the role of Yadwiga in the first staged performance of Ben Moore's Enemies, A Love Story. Equally at home on the concert stage, her repertoire includes Mozart’s Requiem and Mass in C minor, Mahler's Resurrection Symphony, Beethoven's Ninth Symphony, Orff’s Carmina Burana, and Bach’s Magnificat. As a member of the prestigious Westminster Symphonic Choir, she sang under the batons of Alan Gilbert, John Adams, Helmuth Rilling, Sir Roger Norrington, and Michael Tilson Thomas. She can be heard as a soloist on the Westminster Choir’s CD Noël, a collaboration of French Christmas music featuring mezzo-soprano Jennifer Larmore. 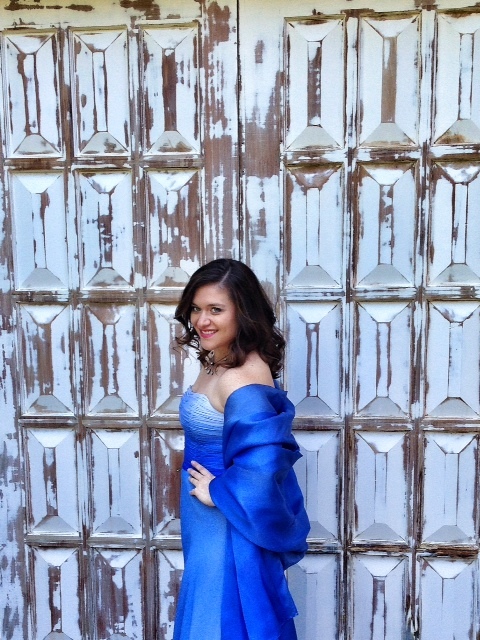 A top prize winner in the 2015 Sullivan Foundation competition, her awards include third place in the Gerda Lissner Foundation Competition, third place in the Midwest regional of the Metropolitan Opera National Council Auditions, a Graduate Performance award from the international music fraternity, Sigma Alpha Iota, and encouragement from the Giulio Gari Foundation, the Licia Albanese-Puccini Foundation, and the Violetta DuPont Vocal Competition. She holds performance degrees from Millikin University and Westminster Choir College.